Henri Cartier-Bresson is considered by many the worlds greatest photographer. He was an early adopter of 35 mm, unlike today it was considered a small camera by contrast of the popular 4X8 cameras being used during Cartier-Bressons days in the mid 30’s. He is also known for his style of photography in capturing the candid moments of life for journalistic images. While my style is quite different, I appreciate and idolize his works. Sometimes, while photographing street scenes, what would I do if I were Cartier-Bresson? Henri Cartier-Bresson was known for his ability to illustrate the story through his photography in a candid way, while portrait photographers are not capturing candid images, but the masters know how to create a candid feeling in order to photograph the story inside every person. Just like most outstanding photographers he had an interesting life, himself. Including being a Nazi War prisoner for 16 mths, being solitary confined for attempting to run away twice and the third attempt was a success. 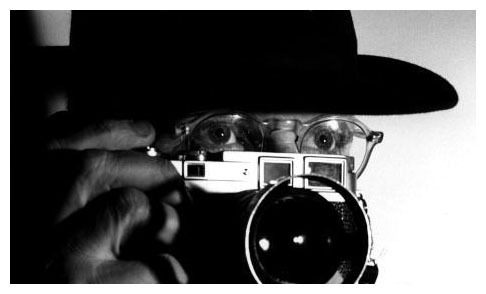 Cartier Bresson left us in 2004 at the young age of 95 yrs old. The main similarity between a portrait photographer and a journalistic master like Henri Cartier-Bresson is the tool used to capture images, the camera.